Best Horse Racing Betting Sites - Place a bet today! Looking for horse racing betting sites? You’ve come to the right place. 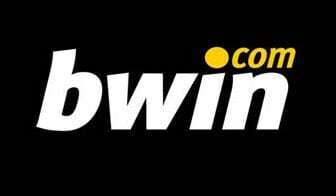 We wil be comparing all of the best horse racing betting sites from around the UK. Horse racing is one of the most popular types of betting in the UK, and indeed the world. With race meets every single day in the UK and beyond, there is always one to be on, and it can be a very compelling draw for bettors who enjoy betting on horse racing. The horse racing calendar in the UK is made up of several major races that run during the course of the calendar. Many are household names in the UK. Check out our news, previews and tips from the world of horse race betting. Horse racing is one of the oldest known sports and can be dated back many centuries, to when tribesmen in Central Asia first domesticated horses for travel, transport and industry. In the United Kingdom, horses first their way here as returning soldiers came back from the Crusades in the 12th century, with the first domesticated horses that originated in Arab countries. They were bred with the native British horses to produce the fast, agile and athletic horses that are the mainstay of race horsing today. The breeding and competition of horses were closely linked to British royalty throughout history, right up to this day. Charles II initiating competitive horse racing at Newmarket in 1636, himself riding the winner a year later, making him the only monarch to do so. Meanwhile, Queen Anne’s reign in the early 1700s saw several regular race circuits and horse race betting established nationwide including Ascot which was established in 1711. By the 1750s, the Jockey Club met to establish rule around racing, and breeders worked to established rules around the breeding shortly after. One way that the major sportsbooks keep punters coming back for more is offering this particular type of promotion. The way to qualify for one of these bets is to back a horse with short odds in specific races (ones featured on TV, or being promoted), and your stake will be matched in the next race. 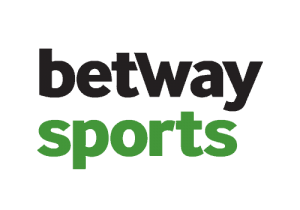 These types of promotions are attractive to the bookies because they increase your chances of losing your initial stake, and for the bettor it’s a chance to continue a winning streak. In certain cases, you can win your money back if you are second, or if your horse is second to the favourite. They money back takes the form of a free bet or bonus, to maintain your commitment and interest. Certain sportsbooks tend to run with these types promotional offers, and these include Boylesports, 10Bet, 138Bet, and Betfred, so it’s worth check in with these on the day of a big event or race meet. This is a type of offer which is promoted by various bookies. It basically means that if you take out an early bet on a particular horse race, and the Starting Price (also known as the SP), is better, then you will get the best payout in the event of a win. 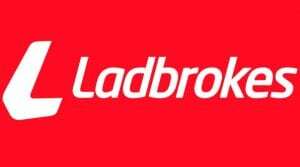 Bet365, Boylesports, and Ladbrokes are all examples of bookmakers that offer Best Odds Guaranteed on horse racing. These are the betting odds that are available and shown immediately prior to a race. These are effectively fixed odds that can fluctuate, although you have the choice to opt for the Starting Price, which is the settled, final odds that the bookies announce before the race. You can also watch the live races through the betting apps.